NE And C Windows And Doors Ltd - Fascia/Soffits/Guttering, Windows/Doors/Conservatories based in Glover Ind Estate, Tyne and Wear. 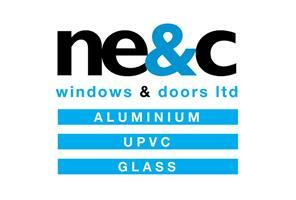 A Family ran Company specialising in Upvc and Aluminium products, we have been established for over 9 years with all our fitters and surveyors achieving MTC and NVQ accreditations. All our fitting teams are employed by us, ensuring the same high quality fitting throughout every job. All installations come with an insurance backed warranty giving you peace of mind for years to come. All our Upvc windows carry the BFRC certificates achieving A B or C energy ratings depending on your requirements, and are fully CE Marked. call for a free no obligation quote.